Ellery Adams was my scheduled guest this week but she recently lost her sister-in-law due to complications of a C-section. The baby is doing fine but I am sure you can all understand she needs to concentrate on family right now. I hope you will all keep her and her family in your thoughts and prayers. I am happy that I can do a little bit to help her by telling you about her new book, Pies and Prejudice, A Charmed Pie Shoppe Mystery. I was craving pie so bad after reading this book we had a peach pie for dessert the day after I finished the book and apple pie the next, ala mode of course. Now let me tell you about this book! When Ella Mae LeFaye catches her husband in the act of cheating on her, she dumps a few baking ingredients on the guilty parties, picks up her Jack Russell terrier, leaves New York, and heads home to Havenwood, Georgia. There she reunites with her aunts and tries to work out things with her mom. Her mom was not happy when she got married and moved to New York and their relationship has been strained ever since. Ella has a gift for baking the most delicious pies. Her aunts convince her that her dream of having her own pie shoppe can still come true and help her open The Charmed Bake Shoppe right in Havenwood. Ella soon realizes that baking delectable pies is not her only gift, her pies are actually charmed. They have magical effects on the people who eat them. All is not magical though in Ella’s life. The thorn in her side from the old days still lives in Havenwood and she is making trouble for Ella. Loralyn had plans for the storefront that now houses The Charmed Bake Shoppe and she vows to ruin Ella’s business. Then Loralyn’s fiancee is found dead. Apparently from a blow to the head. A blow delivered by a marble rolling pin. A rolling pin owned by Ella. It may take more than magical pies to get her out this mess. A well written plot set in the Georgia that includes horse racing, greed and corruption is the flaky crust of this enchanting story. Surprising what some people will do for money. This story has a group of very strong “gifted” women readers will immediately fall in love with. Ella learns about her gift gradually as she tries to find herself, the new and improved Ella, without the cheating husband. A husband that is not quite ready to just let Ella go. Her aunts are there to support her as is her mother. There is also the beloved Reba and her licorice twists. The woman who raised Ella with her aunts while her own mother was busy at Derby parties and Junior League events. Ellery is a master at character creation, even the supporting characters are complex. Some extremely likable, some we love to hate. This first installment is a nice slice of what I know will be a delicious series. Romance is set to bloom, the aunts have more secrets to reveal, Ella will start to really understand her charm, and murder and mayhem will be stirred into this fine mix. Peach Pies and Alibis will be served in March and I can’t wait for the first bite. Leave a comment telling me What Is Your Favorite Kind Of Pie? for 5 Bonus Entries ! and Will Be Posted In The Sidebar. Living in Iowa City, I’m also drawn to water, even though we have the Iowa River & Coralville Reservoir. I really like your Books by the Bay mysteries & I’m looking forward to your new series. Who wouldn’t like a food cozy! 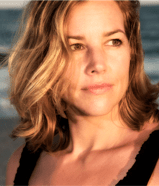 After so many jobs, I hope being a full time writer is the job you were striving for. Dollycas, Duh, I didn’t follow your instructions before I left a comment. I have too many favs to choose just 1 favorite, Apple with crumb topping, Peach or Rhubarb? Then there’s Village Inn’s French Silk & Lemon Supreme or anything with cream cheese! Yummmmmmm! No worries Barbara!! Things are just a little different this week. Chocolate pie is my favorite! I love almost all types of pie….in fact a bunch of my girlfriends and I started a group called Tri-Pie – yup we go out and try pie at all sorts of restaurants. We have found some yummy ones that way. I think my favorite right now is a tollhouse cookie pie….it is very rich and you only need a small piece to be satisfied…but with it being summer, all the fruit pies are good right now too! My all time favorite is lemon mergaine pie. I love the creamy, rich taste and I love lemons. I love a good Cherry Pie. However, I will eat just about any pie offered to me. hee, hee. Make sure you fill out the form. Click the link at the bottom of the post. My favorite kind of pie is pumpkin, good any time of the year not just at Thanksgiving! My favorite pie is apple. I LOVE it! I love apple pie the best! I love fresh peach pie! Ellery…so sorry about your loss. i will be praying for you and your family. new follower!! My absolute favorite pie is chocolate pecan…..or is it coconut?? Sorry– I cannot decide!! I have been following this book around recently and cannot wait to read it. I think it sounds like a hoot. Well I for one love pie, especially good pie LOL, and today I will pick a different favorite – definitely the Coconut Cream from Marie Callendars; they have a crust that is awesome. 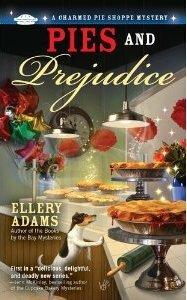 I appreciate the opportunity to win a copy of Pies and Prejudice and wish you all the best on this new release. I am also sending good thoughts and prayers your way and wish you peace. I absolutely love strawberry-rhubarb pie! How tragic!! My condolences go out to the author and her family. My favorite pie is Apple. Thanks for the giveaway! My condolences to Ellery and her family. My thoughts and prayers are with them. My favorite Pie is Homemade Pumpkin Pie with lots of whipped cream.. I could eat it year round!! My favorite type of pie is chocolate cream pie. This series sounds great- I can’t wait to read it! My favorite pie is my Granny’s chocolate meringue pie. She tried over and over to teach me how to make it before she died. Unfortunately, I can’t make a pie crust from scratch that doesn’t look like something the dog dug up out of the yard. I can get the filling right, but my meringue is pitiful. My second favorite pie was also one of my Granny’s recipes – Buttermilk. That one I have much more luck getting to turn out right. Pecan pie is my favorite—YUM! Okay, now you’re being cruel…I’m sitting thinking of all the different pies I love! lol It sure is hard to pick a favorite. I will say key lime in warm weather and egg custard in cooler weather. My favorite pie is blueberry. Your book sounds wonderful. Cute cover. My favorite pie is Peach Crumb! My mom’s pecan pie or her Chocolate Chess Pie!!!! YUM!!! I like lemon icebox pie…no I’m getting hungry. My very favorite is hard to get – French Apple. The last I had was Tastycakes that I found at a mini mart. I love pie so I will pick one: Chocolate Pie made with Cooked Chocolate pudding! Blueberry Peach with the peaches on the botttom and the blueberries dripping beautiful colors on the peaches. My favorite pie is Warm Apple Pie with a big scoop of vanilla Ice Cream! My favorite kind of pie is chess pie. I have two favorites, but only one for warm weather and one for cold weather. I love blueberry pie when it’s warm outside and I can get fresh blueberries. Since I live in New Jersey, that’s not hard because there are plenty of bogs around here. But in the fall and winter, I’d have to choose pumpkin pie with whipped cream, of course. It just smells so good in the kitchen and makes me think of family holidays like Thanksgiving and Christmas! I think I’d have to say apple pie is my fav. A nice warm slice with vanilla ice cream on top! New follower and new to Ellery too! This book sounds wonderful. Favorite pie – since it’s hot here in NC, I’m thinking cool, like a Key Lime Pie. My favorite pies are Sweet Potatoe and Chess Pie. there is a great amish restaurant a few hours away from where i live that makes the best chocolate peanut butter pie. soooo good!! My favourite kind of pie is strawberry rhubarb! Lemon meringue is a close second. Lemon meringue is by far my favorite pie. black forest cake is the best.